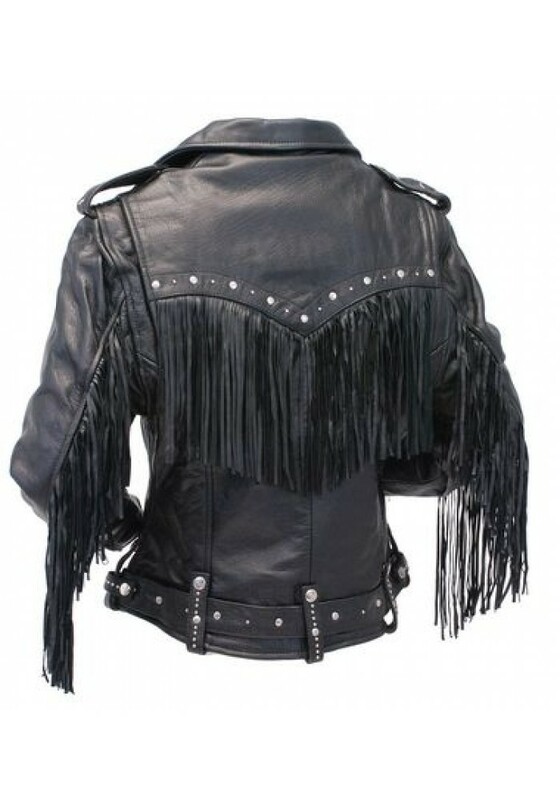 A ladies fringe and studded biker jacket. Classic motorcycle style but with lots of pizzazz. 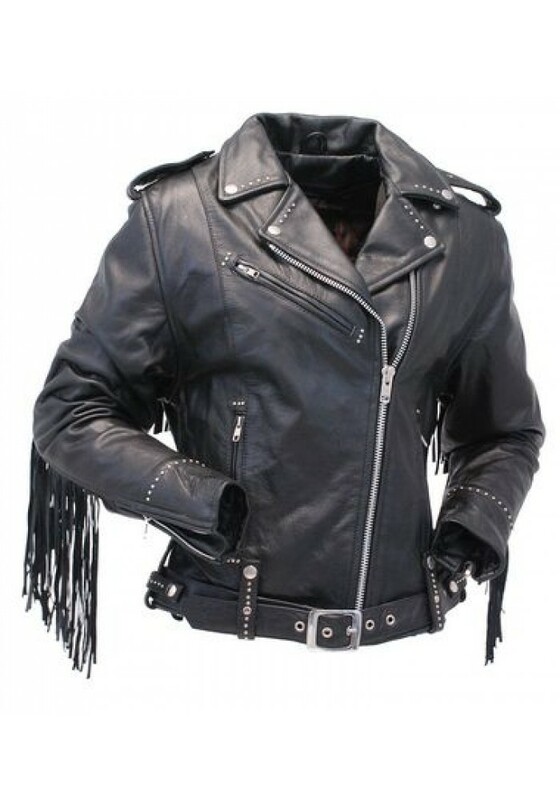 Features include a full sleeve zip out lining, full studded removable belt, three front zip pockets, asymmetric front zipper, snap down collar, zip cuffs, vertical inside snap pocket, inside cell phone pocket, studded belt loops and lots of trimmings.